Make money tonight is a new binary options product. The company that put together this software tells binary options investors that with their trading system they guarantee a very specific $1289 before you sleep. Today I’ll be providing a review about this software(makemoneytonight.co) and letting you know whether or not I believe this is a worthwhile moneymaker. The developer of make money tonight Daniel H tells us about his story in the video on the front page of the website. This video is really the only way we can get information about the system. He claims that his friends and the people in his life thought he was high when making decisions to develop his new app. Daniel then shows us weeks later once is app was completed that he has millions of dollars in binary options trading accounts. Isn’t that just magic? In the video Daniel shows us how his make money tonight app took him from a small shack to a mansion with a nice pool. The picture looks like it was cut out of some sort of a magazine and I wouldn’t be surprised if it was. Daniel then goes on to show us different account balances that he is achieved within hours of depositing a mere $250. Today I will not be recommending or investing in the make money tonight software application. This is not the type of binary options investment I like to get involved in. There is no real discussion of the strategy being used here and it really comes across as some sort of a magical solution to become rich overnight. Things like that just don’t exist and that’s why here at binary today we focus on long-term investments with low to medium risk. 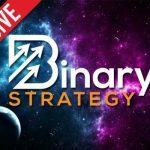 If you really want to make money in binary options look around my website and see what some of the readers here are having success with. I think I avoided this one.